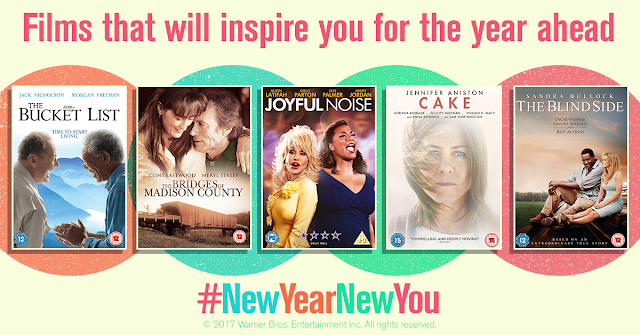 2017 for me is all about the movies! I want to watch the films which have been nominated for a BAFTA award and I want to watch movies which will inspire me! So my challenge this year is to watch the movies you see listed above and see if they do indeed inspire me! I've only seen The Bucket List and it is a wonderful film, but the remaining 4 films wouldn't necessarily be on my 'must watch' list. This is a 1995 movie which has an IMDb rating of 7.5/10. The film is about an Italian war bride, Francesca who lives with her husband and two children on a farm in Iowa. This is a 2012 movie which has an IMDb rating of 5.7/10. Some very talented stars in this film which is about two strong-minded women who are forced to cooperate when budget cuts threaten to shut down a small-town choir - This is one that I like the sound of. 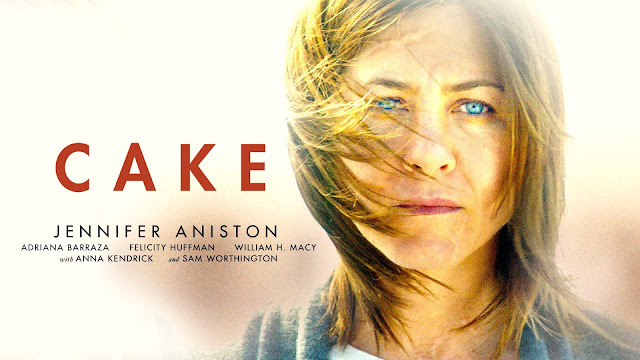 This film stars the beautiful Jennifer Aniston who plays Claire, a character who becomes fascinated by the suicide of a woman in her chronic pain support group while grappling with her own, raw personal tragedy. Sounds like a very deep film, which could very well see me in tears! Not my favourite of actresses, but she does make good films, so the last of the films on my inspiration list is the Blind Side. A 2009 film based on an offensive lineman who played for the Baltimore Ravens Tennessee Titans, and currently is signed with the Carolina Panther in the NFL. The film follows Oher from his impoverished upbringing, through his years at Wingate Christian School, his adoption by Sean and Leigh Anne Tuohy, to his position as one of the most highly coveted prospects in college football, then finally becoming a first-round pick of the Ravens. Not entirely sure what half of that means - but let's give it a go! How does that list sound to you? I'm not sure on a couple of them, but I shall watch them all and see what inspired me. If you do love this list you're in luck, I'm currently running a competition over on Twitter where you too could win the above DVDs! Be inspired for 2017 - make it your year!